A photo showing a school structure. Busalamu Secondary School in Luuka District has been closed over a student strike that led to the destruction of property worth millions of shillings. The students went on strike after a Senior Four Geography fieldwork trip went bad. The students were allegedly charged Shs25 000 for the fieldwork trip and were told that they were going to Kasenyi Landing Site in Entebbe for their fieldwork. However, they were only taken to Masese in Jinja District. To add salt to injury, the students went hungry the whole day contrary to what they had been promised a sumptuous meal and drinks during the field work trip organized last Saturday. The alleged breach of contract did not go well with the students who returned to school furious and organized a strike which was joined by the rest of the students. “ The students were charged Shs25,000 and were supposed to be fed on the same amount. They were also told that they were going to Kasenyi Landing Site and not Masese,” said Samson Kasoone, a teacher at the school. The headmaster of the school, Evans Otigo, condemned the strike, saying the students should have addressed their grievances in a responsible manner. “The students should learn to talk whenever there is a problem and not just throw stones as if they are in the old stone age,” Otigo said. 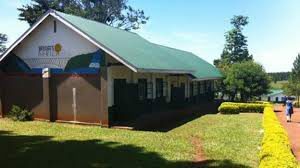 Attempts to talk to Luuka Resident District Commissioner Steven Nsubuga Bewayo, who ordered the closure of the school, were futile as he could not answer our repeated calls.